Venezuelan President Nicolas Maduro Urges His Armed Forces To Be On Guard Against The U.S.
HomeWorldVenezuelan President Nicolas Maduro Urges His Armed Forces To Be On Guard Against The U.S.
Caracas (AFP) – President Nicolas Maduro urged his armed forces Wednesday to be on guard following news reports in the United States that a year ago President Donald Trump raised the possibility of invading Venezuela. 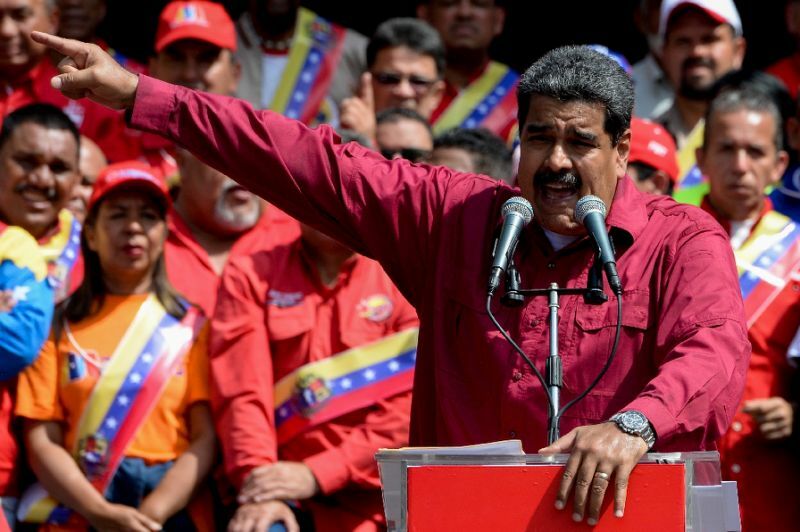 He alluded to reports in the US press which said that last August Trump asked foreign policy advisers about the possibility of invading Venezuela, which the Trump administration has derided as a corrupt, leftwing dictatorship. WNU Editor: He is responding to this …. President Donald Trump Asked Several Advisers Last August About The Possibility Of Invading Venezuela (July 4, 2018). If I was him I would be more worried on what will his own Army and people do, not on what the U.S. may do. Khloe Kardashian Flaunts Hourglass Figure in Skin-Tight Yeezy Fashions at 4th of July Party: Pics!